Marquee 3m wide works perfect for the small parties in the small back yards. Access Party hire have wide range on quality Marquees, The Marquee 3m wide can be used in the narrow areas, such as driveways, around the Swimming Pools or for catering purposes behind of the big structures. 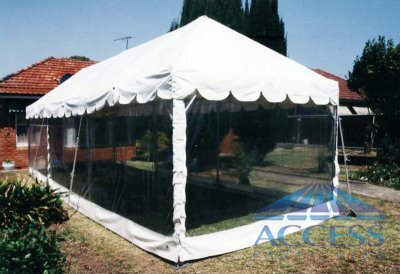 Marquee 3m wide work perfect for the small parties in the small back yards.